Improvements in infrared sensing, stacked sensors, and price reduction in China were three trends highlighted by Vladimir Koifman, CTO and founder of Analog Value, in his opening presentation at the Image Sensors Europe conference in London on 13 March. ‘Pixel-level interconnects [in stacked sensors] are going to change the way that image sensors work in the next five to ten years,’ Koifman stated. He pointed to Sony’s 1.4 megapixel stacked sensor, which was presented at the International Solid-State Circuits Conference (ISSCC) in February 2018 in San Francisco. Each pixel in the backside illuminated sensor has its own analogue-to-digital converter (ADC), so that each pixel is read out simultaneously in a global shutter. At the time of announcement, Sony said this was an industry-first: a back-illuminated CMOS sensor with pixel-parallel ADC with more than one megapixel. The ADCs are stacked beneath the pixels using copper-copper interconnects. The sensor has nearly 1,000 times as many ADCs compared to the traditional column analogue-to-digital conversion method. Sony developed a low-current 14-bit ADC for the sensor. Koifman said at Image Sensors Europe that Sony’s sensor is part of a shift in ADC architecture design, which has the potential to improve shutter efficiency and the performance of global shutter sensors. Omnivision introduced an HDR stacked imager with pixel-level interconnects at the 2018 International Electron Devices Meeting, while Olympus also has a 16-megapixel sensor with four million interconnects. There are now eight Chinese CMOS image sensor manufacturers, which has grown from four 10 years ago, according to Koifman. He noted that Chinese sensor firms have managed to reduce costs to a very low level. In 2017, Superpix released a QVGA sensor with integrated ISP priced at $0.068, at the time the most competitive QVGA chip on the market. Koifman said that 20 years ago such a chip would cost $50 or $30. ‘It’s a big achievement,’ he said. These price reductions are not attained solely by using inexpensive foundries, but also by making efficient use of silicon area, Koifman observed – by being able to reduce the area around the pixel array. Some Chinese companies, like Galaxycore, excel in area optimisation. The other Chinese company Koifman highlighted was GPixel, which was founded in 2012 with headquarters in Changchun, China and offices in Yokohama, Japan and Antwerp, Belgium. He said that the firm has ‘won a huge following’, especially in the industrial sector, with many companies switching to GPixel sensors. Koifman put GPixel’s success down to, in part, being able to deliver shipments without delay. He said that some image sensor companies can announce sensors that are not ready for full-scale production, and which are delayed for long periods of time. ‘GPixel somehow managed to deliver on their promise time after time,’ he said. GPixel has access to a low-volume, high-end BSI fab through YCM in Changchun, which supports 8-inch and 12-inch wafer sizes. The company’s sCMOS products are BSI compatible. In his presentation at the conference, Wim Wuyts, chief commercial officer of Gpixel, said that the firm also has access to 3D stacking technology for high-end products, also through YCM. ‘It [3D stacking] opens up a different dimension where we [Gpixel] can increase the readout speeds significantly,’ Wuyts said, adding that this technology will overcome some of the physical challenges associated with a monolithic approach. Another trend Koifman spoke about is improving infrared sensitivity in CMOS sensors. There are lots of approaches to improve the infrared sensitivity, including: enhancing sensitivity with pixel optics, such as in sensors from Sony, Smartsens and Omnivision; silicon-on-insulator (SOI) technology, which is used in sensors for the iPhone X; and germanium-on-silicon, which is available at TSMC, for example, and increases the sensitivity to 1.55µm. Germanium-on-silicon has high dark current, so it is not used for direct imaging, but is suitable for time-of-flight sensors with an exposure time of a few tens of nanoseconds. Kazuko Nishimura, from Panasonic in Japan, presented the company’s organic CMOS sensor, which has an organic photoconductive film for photoelectric conversion, and offers high near-infrared sensitivity that can be controlled electronically. This is achieved by having two organic layers, one for collecting RGB light and the other near-infrared radiation, and by controlling the voltage applied to each. 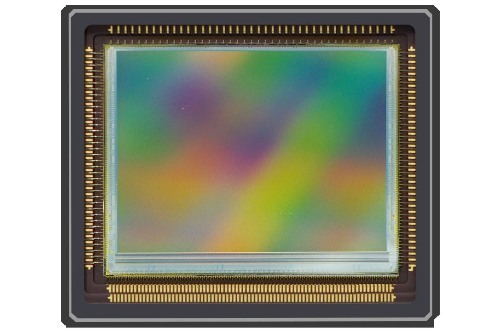 The organic CMOS sensor also offers a wide dynamic range with in-pixel noise cancellation, and global shutter by controlling photoelectric conversion. Panasonic’s sensor, first presented at ISSCC 2018, has 3µm square pixels with a resolution of 8,192 x 4,320 pixels, 60fps speed, and uses 65nm process technology. Martin Wäny of Photolitics commented during his presentation on medical imaging that there is a lot of activity to extend the spectral range of SWIR by using quantum dots or graphene photo-conversion layers. He said that these technologies were still mainly in an emerging phase, but that they might be good enough for specialist applications. SWIR Vision Systems in the US has recently launched a SWIR camera based on a quantum dot sensor, while Emberion is one firm developing sensors with a graphene layer. Other technology trends that Koifman mentioned included: smaller global shutter pixels – Towerjazz released a global shutter CMOS sensor with a 2.5µm pixel earlier in the year – but also scaling in rolling shutter pixels, which have stayed the same size for the last seven to eight years, but are now shrinking down to 0.8µm and beyond. There is also lots of investment in SPAD imagers, event-driven sensors are coming through, and there are now more sensors with combined functions, such as lidar with imaging capabilities. 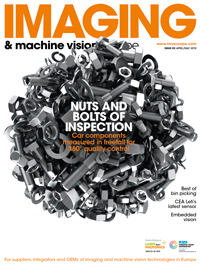 Koifman noted that most lidar companies are developing their own image sensors – ‘almost all of them have internal image sensor design,’ he said.